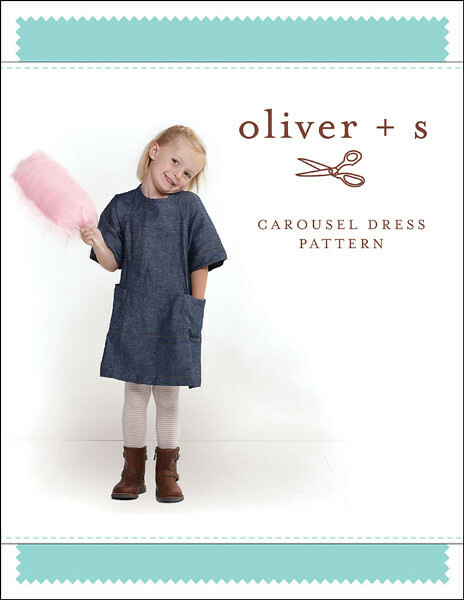 This tunic style dress looks just lovely! I’d really like to imitate the pattern image as much as possible, maybe just a different color. I think the detail of the dress might be lost if I use a heavily patterned fabric so I need to keep an eye out for a plain linen when I’m fabric shopping. 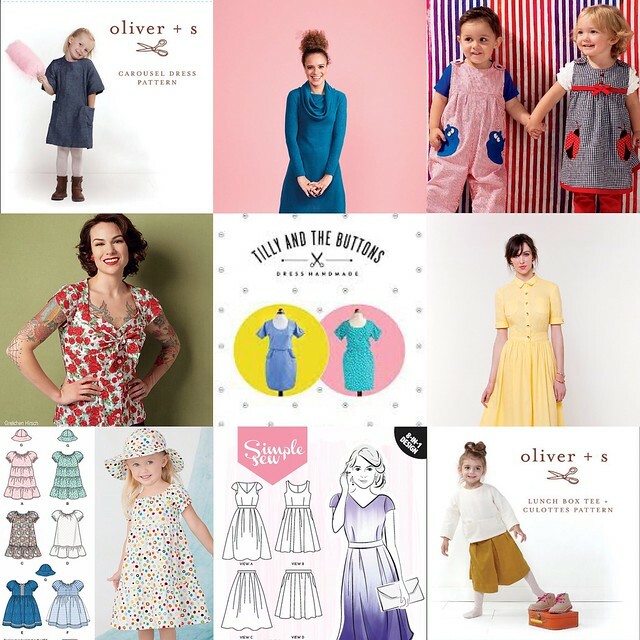 I received the newest Tilly book, Stretch, for Christmas and love every single pattern in there. I’ll probably end up making a few things out of the book this year but I wanted to put my favorite on my Make Nine list. I’ll be shopping for fabric for this one too as I don’t think I’ve got anything in my stash that will be suitable. 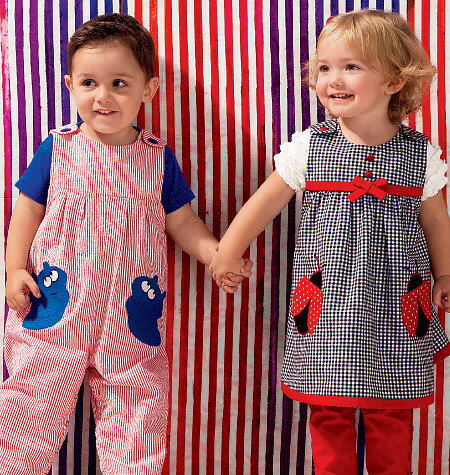 Rosie would look adorable in either of these views but I decided to go for View B, which is the dungarees style romper. 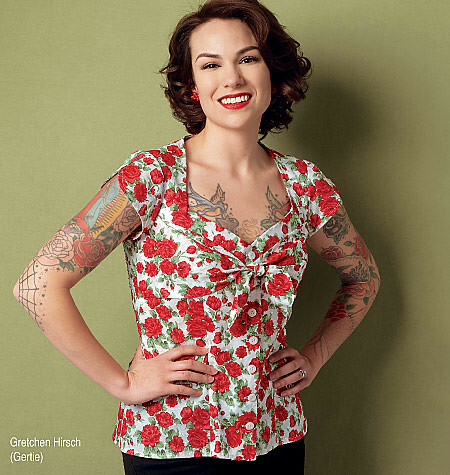 I’ve got a really nice fabric in mind for this in my stash so I’m hoping that I’ll have enough to make this. I’ve only ever put single press stud fastenings on things so I’m interested to see how these fastenings come together. 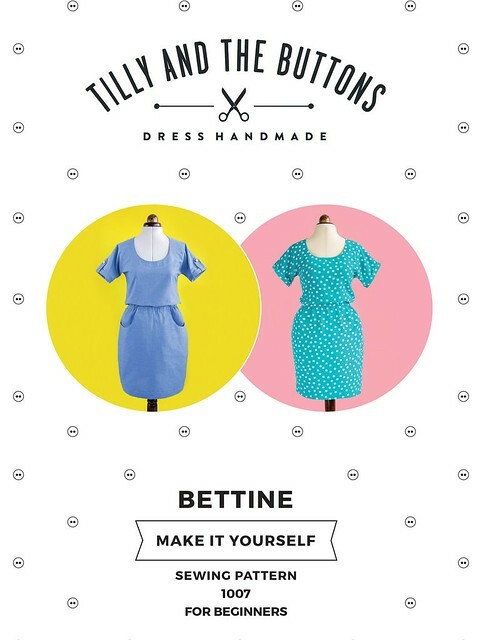 Gertie did a series of patterns for Butterick and I love how different the bust detail is on this pattern. I plan to make a wearable muslin for this one for sure as I know the bust needs to fit perfectly. I’m hoping that it will be a little bit of a positive challenge for me. I’ve had this pattern for quite a while but I’ve just never gotten round to making it. I don’t think I’ve made a bad Tilly pattern yet so hopefully this one will be a great one too. I like anything that has an elasticated waist and anything that accentuates the waist and this pattern ticks both of these boxes! 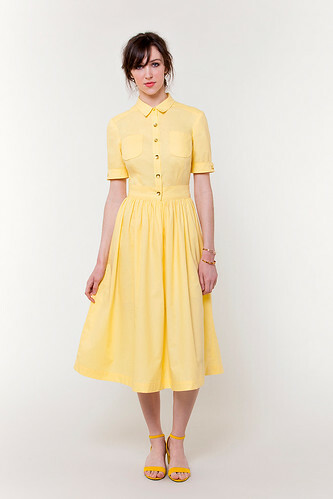 We love a good shirt dress! I haven’t made a shirt dress for a couple of years and I’m looking forward to getting back into sewing a few button holes. I’ve not yet decided if I want to use a plain or patterned fabric…I’m leaning towards plain. This pattern is another gifted one for me to make for Rosie and it is just adorable. 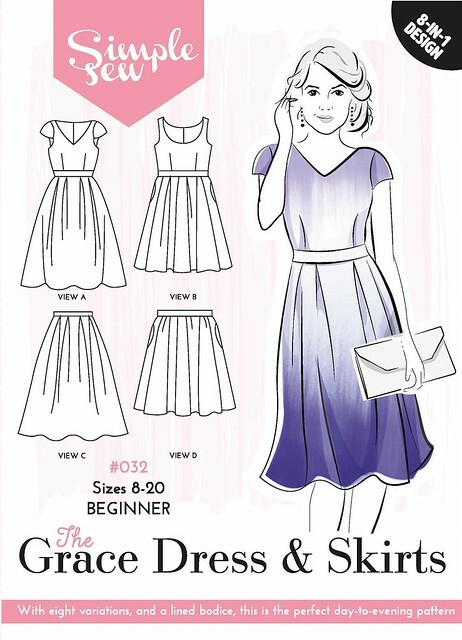 I’m planning on making view B, which is the tiered dress. I haven’t made a dress in this style for a while. I’m looking forward to making this one as I like the waistband detail along with the full skirt. The capped sleeves appeal to me too. When I buy RTW clothes, I tend to look for capped sleeves as I find them quite flattering on my arms. 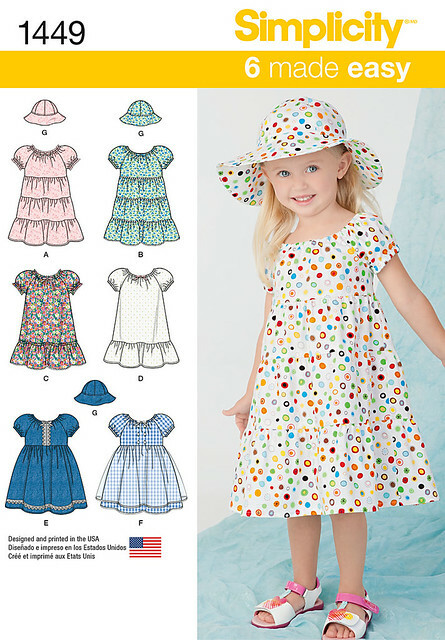 I’m finding myself saying that each one of these toddler patterns are adorable and these really are. I love how boxy they look and I think these will look nice with a simple baby grow tucked into them. As Rosie isn’t walking yet, I sometimes find that skirts get in the way of her little knees. 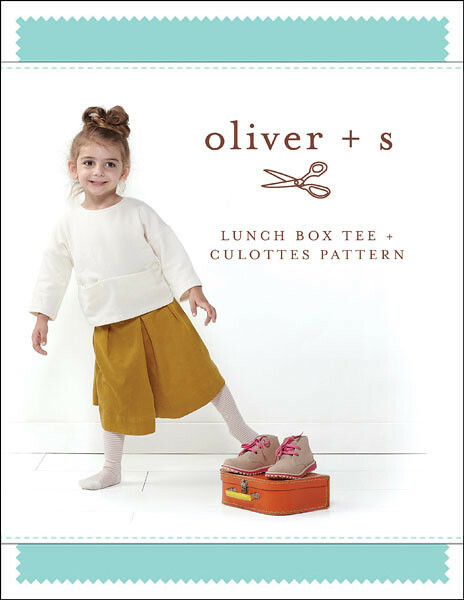 These culottes seem to have the best of both worlds; they still look like a nice skirt but have separate legs! I’ve added my quick Youtube video below too if anyone wants to watch!